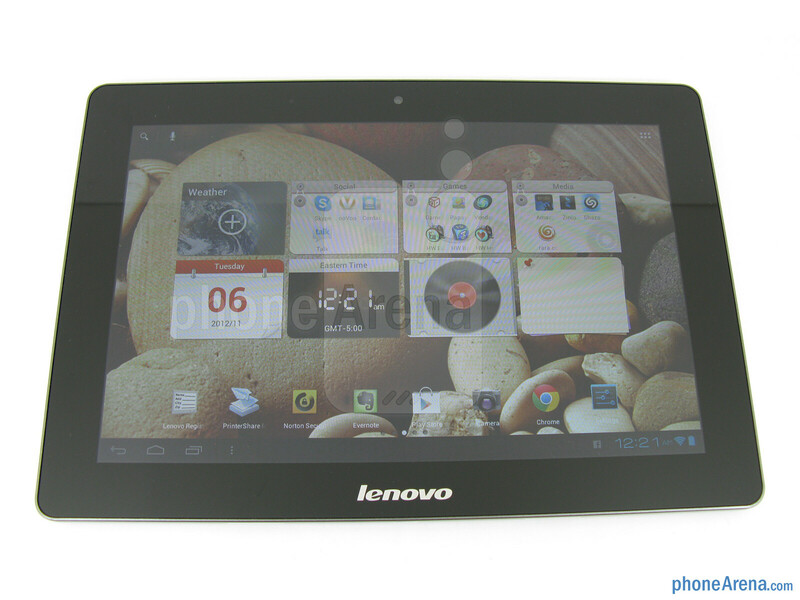 Recently, Lenovo has introduced several new Android tablets to the market. One of those being the mid-range A2109 that we reviewed in September, which comes with a 9” display and is designed as general multi-purpose tablet. But for those of you looking for a tablet with a larger screen and designed with business customers in mind, there is the IdeaTab S2110A, which as a suggested retail price of $429. 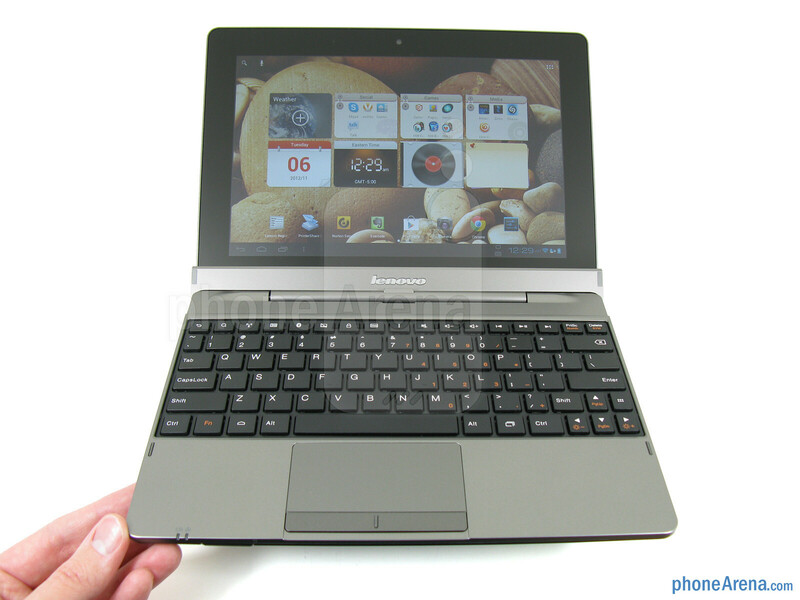 Not only does it comes with a 10.1” display and business oriented apps included, but there is also an available keyboard-dock for $80 to give you a “netbook” feel with 83 keys and extra battery capacity. 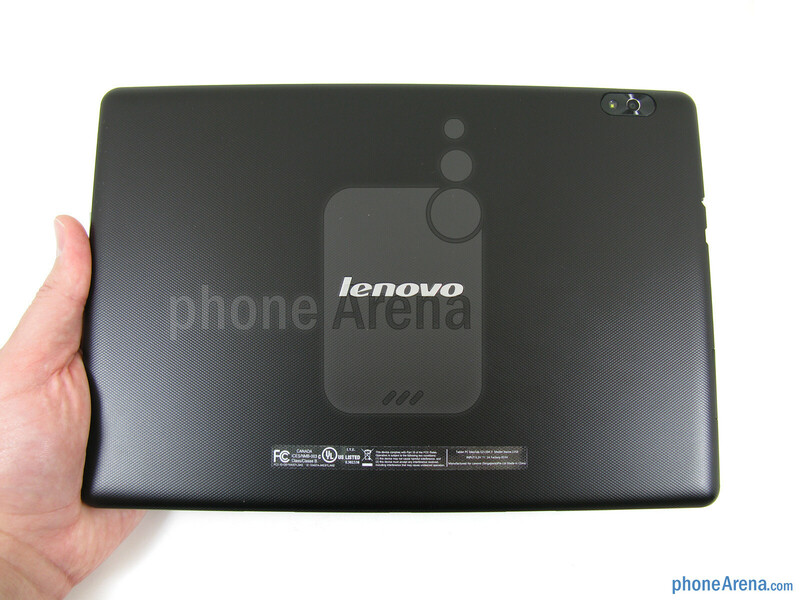 But with other tablets, such as the upcoming Google Nexus 10, being around the same price, this Lenovo tablet has some tough competition. 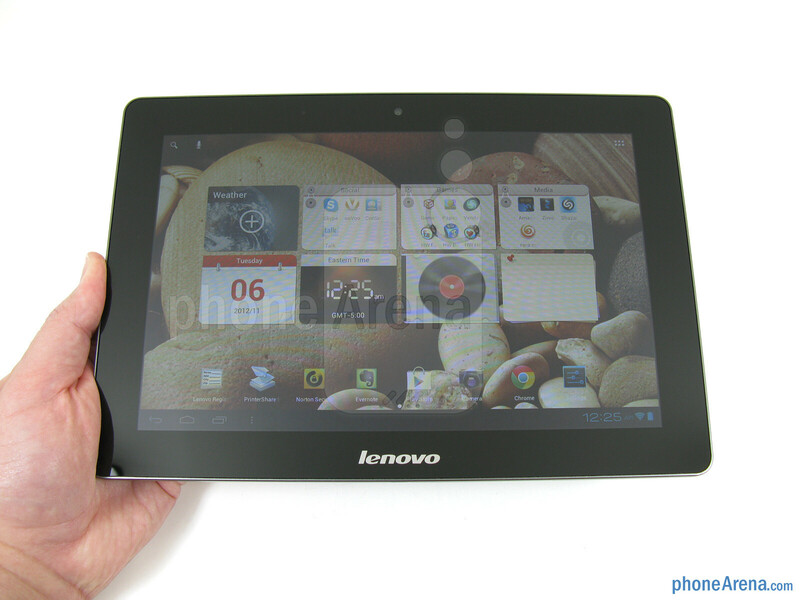 Included in the retail package is the Lenovo S2110A tablet, wall charger, microUSB cable, and user guides. 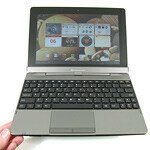 The Keyboard dock is available as an option. 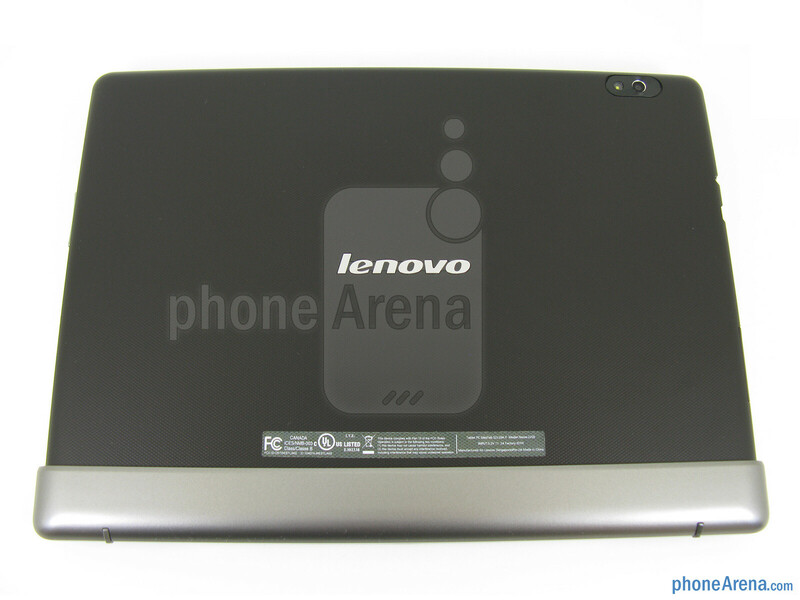 The overall look of the Lenovo IdeaTab S2110A is a bit bland – all black with silver trim around the edges. Though the construction feels well made, which is good for business travelers. Even though the weight of the tablet is average at 1.3lbs, when you add the optional keyboard dock of 1.5lbs, the total weight is close to 3lbs, which can feel a bit heavy if you are carrying it around all day and is almost equal in size to some netbooks. Attempting to press the power/lock key at the top is more of a challenge than it should be, as it’s fairly flat – almost recessed into the surrounded bezel – making it hard to find by touch alone. Though the volume rocker on the right side is raised enough and is easy to locate. 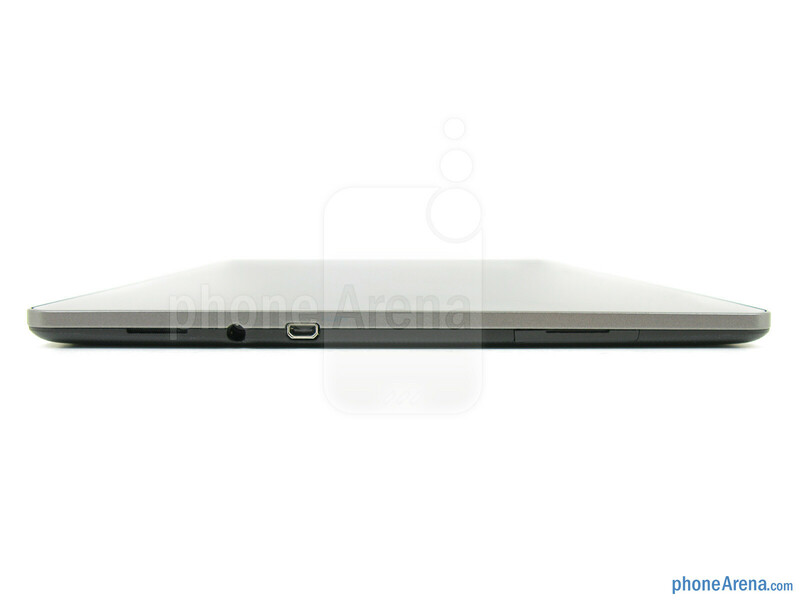 Around the edges we also find a microUSB port, microHDMI video output, 3.5mm headset jack, and stereo speakers. 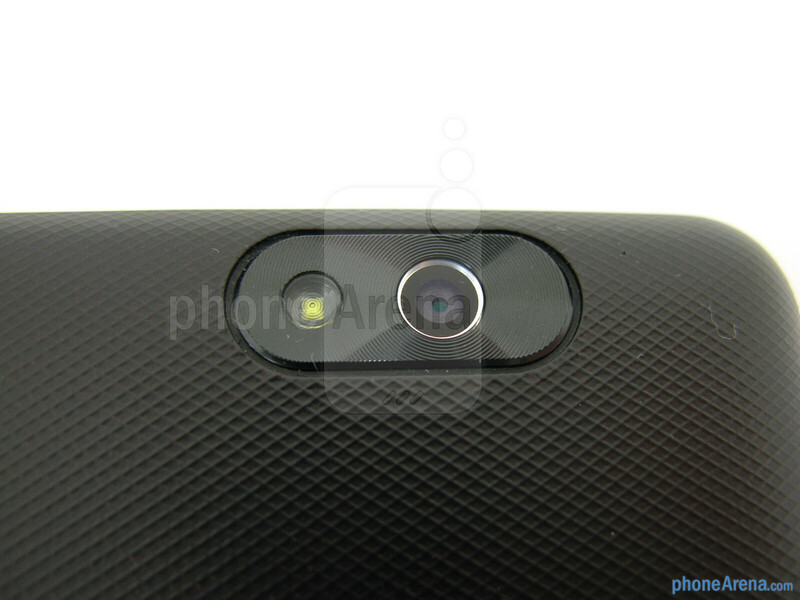 Above the display is the front-facing 1.3MP camera, and on the rear is a 5MP autofocus camera with LED flash. Our review unit included the optional keyboard, which retails for $80, but we believe that this is a must-have accessory for those who are looking to type a lot. 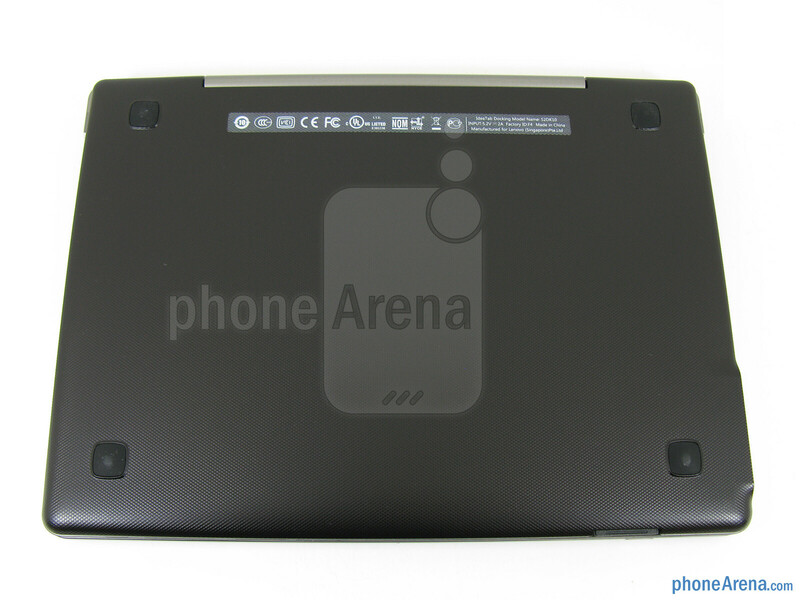 It connects easily to the bottom of the tablet by clicking into place (making use of the microUSB port), and can be removed at the push of a button. 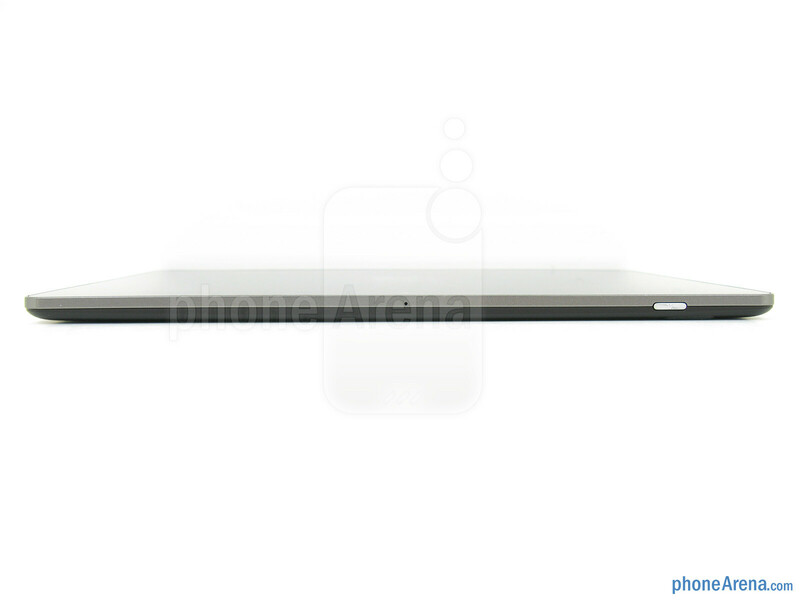 It’s silver and black color combination also matches the tablet nicely, as does the fit and finish. 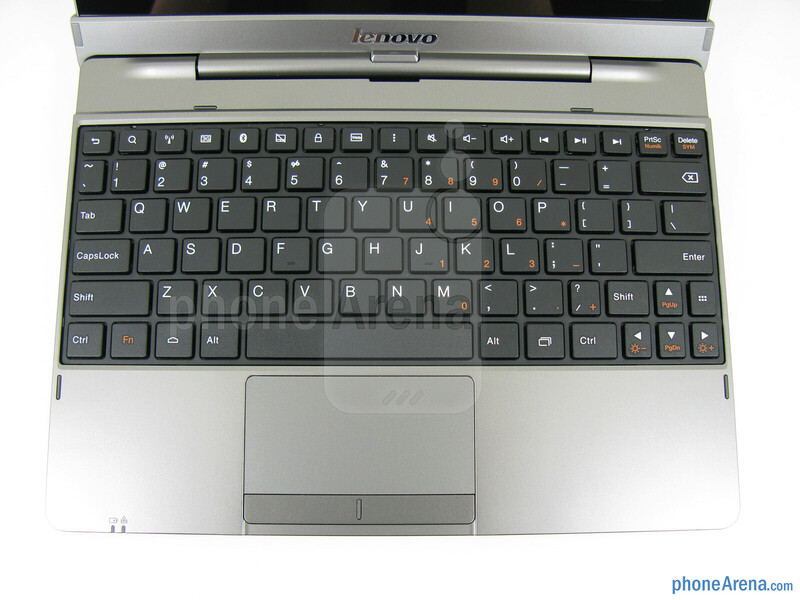 The layout of the 6-row QWERTY keyboard is similar to what you would find on most other standard keyboards, but instead of “F1-F12” keys at the top, this keyboard has dedicated keys for such tasks as accessing Wi-Fi, Bluetooth, volume, rewind, play, fast-forward, and web. 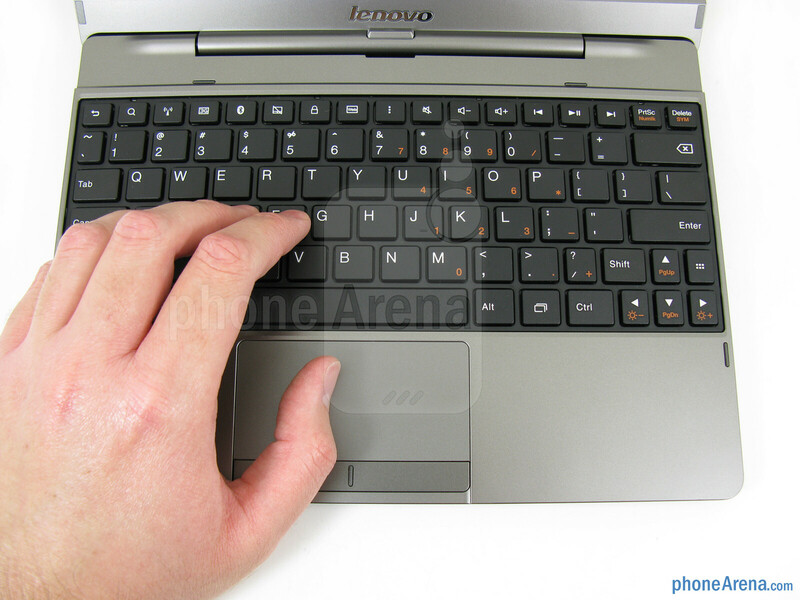 Typing on the physical keyboard is a pleasure, as the keys have a nice size to them and are well spaced, meaning you won’t accidently press a neighboring key. 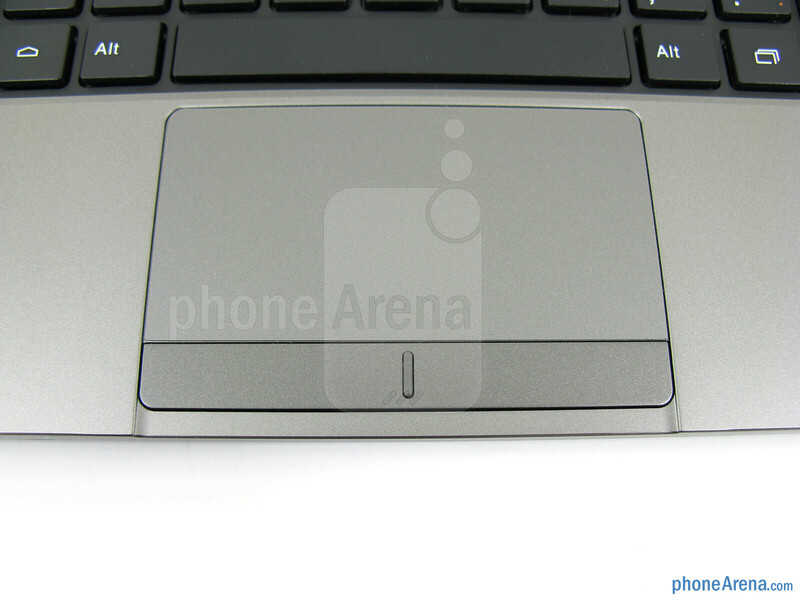 Below it is a track pad with two select buttons, and when used will show an arrow on the tablet’s screen. Unfortunately, we found the responsiveness of the track pad a bit lacking, and at times found it easier just to press the display instead. 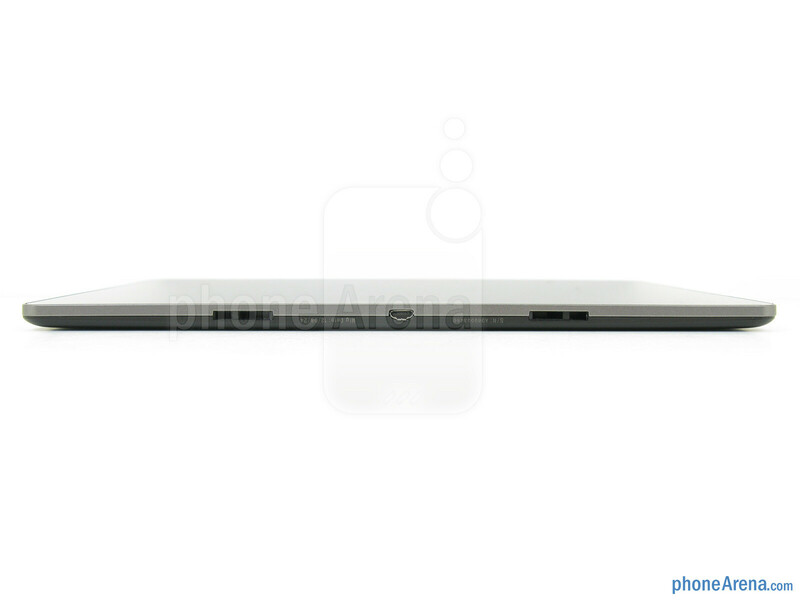 Integrated with the keyboard is an extra battery, which is charged through a separate microUSB port of the left side. Next to it are two standard size USB ports, though the documentation doesn’t specify what can be attached to them. 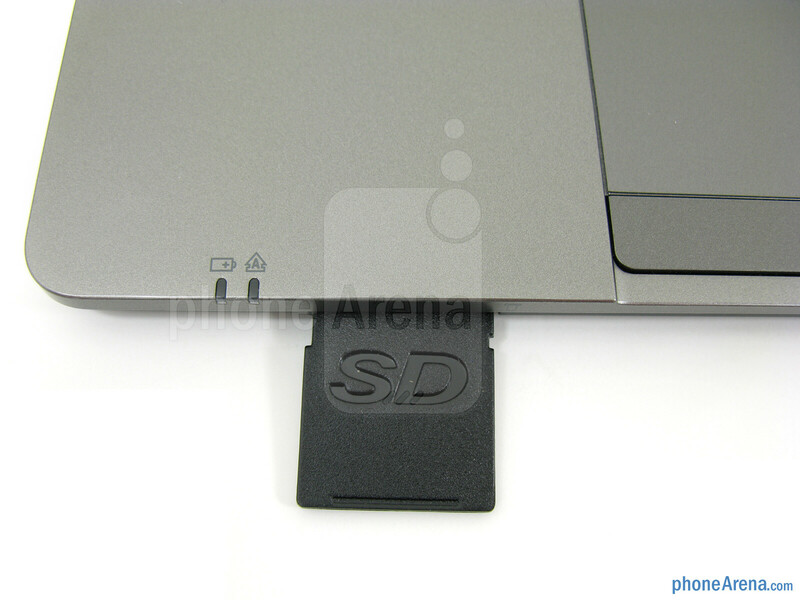 Even though the tablet itself doesn’t have a microSD memory card slot, there is a full-sized SD card slot on the front of the keyboard, which will accept up to 32GB SD cards. 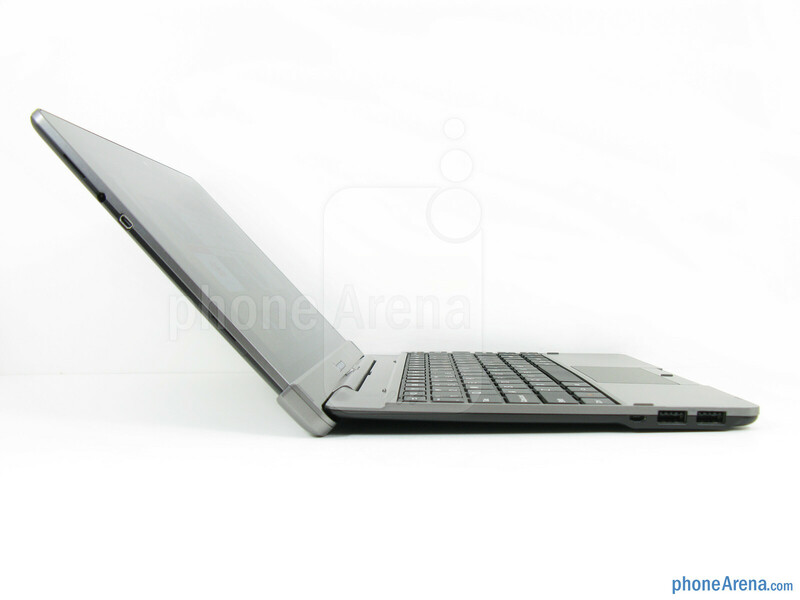 For $80, the keyboard dock does offer a lot, and like we said earlier, it really makes the experience of using the tablet better for anyone who will be typing on it daily or needs the extra battery life and SD memory card slot. 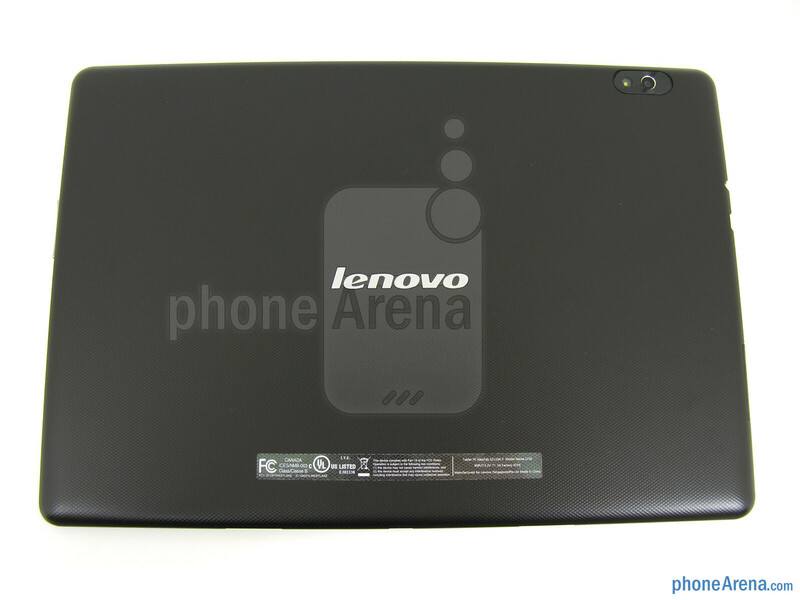 Even though the Lenovo IdeaTab S2110A has a decent size display at 10.1”, its 1280x800 WXGA resolution is disappointing, as small text doesn’t look sharp and images have noticeable pixelation and jagged edges to them. 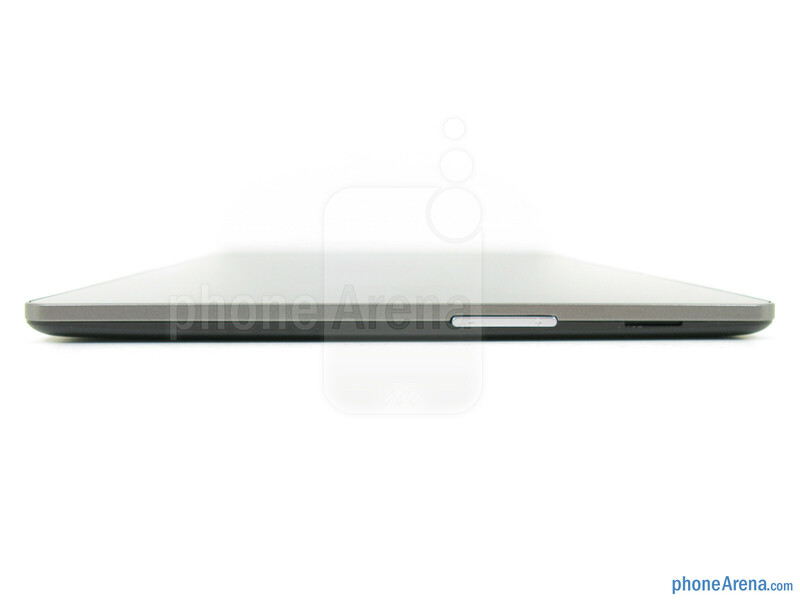 This is a far cry of the eye-catching 2560x1600 pixel resolution display on the Google Nexus 10. Also, even though the Lenovo IdeaTab S2110A has an IPS panel, we found off-axis viewing angles to be limited, though the maximum brightness of 420 nits does make it bright enough for use outside.